The United States is the most dangerous country in the developed world to give birth, according to some data. Every year, more than 65,000 women suffer maternal near deaths and about 700 women die from life-threatening complications of pregnancy and childbirth, according to the Centers for Disease Control (CDC). American women are more than twice as likely to die of pregnancy-related causes as British women, three times as likely as Canadians and six times as likely as Norwegians and Poles, according to the Institute for Health Metrics and Evaluation at the University of Washington (from 2015 data). It’s complicated. Sadly, not all maternal deaths or near-deaths are made public, and you may not get answers from the hospital. Cases of wrongful maternal death have only recently been investigated by congress, but attorneys have been investigating and prosecuting wrongful maternal death claims for decades. Most all cases of near-maternal death and maternal death are not normal occurrences and they must be carefully scrutinized to determine where the error may have occurred. Attorney Jeff Killino and his team will investigate medical records to determine whether all involved followed the standard of care. What can a Husband do if his wife died? Some family members got answers after investigations. An expectant mother showed signs of a low platelet count and preeclampsia. After the birth of her twins, the new mom’s blood pressure kept dropping and she was given Ephedrine and the pain reliever Toradol. She was given more of the same drugs and died a few hours later. After investigation, her husband, who is now a single dad, got some answers. She suffered a seizure, and a brain CT scan revealed that she had suffered a massive hemorrhage. What if my daughter died during childbirth? In another instance a mother of two died after giving birth to a daughter, who passed away one day after her mother died. After a C-section she suffered cardiac arrest. Her baby died as a result of respiratory failure. According to her parents, and after investigation, their daughter’s injuries were caused by carelessness and negligence, including failure to recognize safe and effective medical practices and procedures. Despite significant improvements in maternal health (in the 18th century the maternal death rate was 12 percent), too many women continue to die or suffer severe pregnancy complications. Pregnancy-related deaths in the U.S. have increased since 2000 while other countries’ rates have decreased. While other wealthy nations reduced maternal deaths in recent years, the U.S. maternal mortality rate jumped more than 25 percent from 2000 to 2014. The CDC found that hypertensive disorders in pregnancy, including pre-eclampsia (below) have been on the rise over the past two decades, increasing 72 percent from 1993 to 2014. Granted, an increasing number of pregnant women in the US have chronic conditions such as high blood pressure, diabetes, or heart disease that may put them at risk (high blood pressure and cardiovascular disease are two of the leading causes of maternal death) but a recent USA Today investigation reported that about half of those near-deaths and wrongful maternal deaths could be prevented or reduced with better medical care. Authors of an essay published in the New England Journal of Medicine titled What We Can Do about Maternal Mortality — And How to Do It Quickly, have called for standardized care for the treatment of women in labor in an attempt to reduce the number of pregnancy-related deaths due primarily to heavy bleeding after delivery, elevated blood pressure, and blood clots before or after delivery. 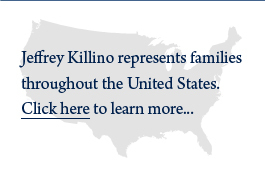 If you or a loved one has suffered maternal complications due to medical error, nationally-recognized birth injury and maternal death lawyer Jeff Killino can help you obtain the compensation to which you are entitled. For a free evaluation of your legal options, contact attorney Jeff Killino at 877-875-2927 for compassionate and experienced assistance with your case. Black mothers are twice at risk as white moms, followed by Hispanic and Asian White, according to Mothers at Risk. A Department of Health and Human Services report found that pre-eclampsia and eclampsia (seizures that develop after pre-eclampsia) are 60 percent more common in African-American women and also more severe. In 2005, maternal deaths involving African-American mothers reached a staggering 36.5 percent per 100,000 births, reported the CDC. And not all women are treated equally. Although studies show that black mothers have higher rates of problems such as high blood pressure, safety advocates say that cannot excuse adverse outcomes. The New England Journal of Medicine reported in 2018 that maternal death in black women occurs 3-4 times more than white women. Racial disparities and maternal outcomes in the US are not really known in terms such as hemorrhage but treatment should be the same regardless of race. Given that about half of maternal deaths and injuries could be prevented or reduced with better medical care, do all hospitals follow key safety practices? USA Today found that at some hospitals, women experiencing childbirth emergencies did not quickly receive recommended treatments. Serious maternal injuries and maternal deaths have occurred due to delayed diagnoses, failure to follow best care practices, and/or a doctor’s failure to address diagnosed risk factors, such as blood clot problems and preeclampsia. Medical mistakes and negligence have also resulted in strokes, aneurysms, sepsis infections, cardiac arrest, organ failure and other life-threatening injuries. Almost 90 percent of hemorrhage deaths and 60 percent of hypertension deaths –the two leading complications of new mothers—could be prevented if health professionals follow best practices to quickly recognize and treat these conditions. Maternal near-death and maternal death malpractice claims can be complicated and confusing. Even though pregnancy and childbirth is second reason for hospitalization in the US, the federal government doesn’t require hospitals to tell the public how often mothers die or suffer from childbirth complications. You likely feel overwhelmed, but don’t give up. We have the experienced staff and legal resources to investigate and file a medical malpractice lawsuit against an individual, hospital or healthcare system. 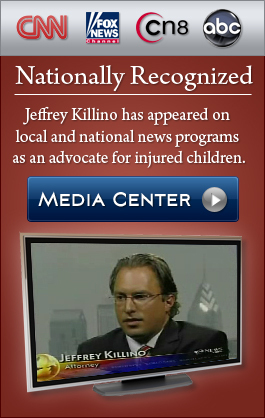 Contact nationally-recognized birth injury and maternal death lawyer Jeff Killino at 877-875-2927 for assistance with your case. Failure to protect the mother with the following risk factors might give rise to legal claims , including medical malpractice. Preeclampsia occurs in five percent of all pregnant women, according to some statistics, and usually begins after 20 weeks of pregnancy in women whose blood pressure had been normal. Doctors do not always know exactly what causes preeclampsia. The body during normal pregnancy development increases the production of blood volumes, but in those five percent of women that production also includes a steep and dangerous increase in blood pressure. Women whose blood pressure readings were ‘normal’ before they were pregnant and then experience high blood pressure combined with heightened protein levels in their urine can develop preeclampsia. Without quick and correct treatment, both the mother and fetus could die. Effective treatment can include Antihypertensive, prescribed to lower blood pressure; the steroid corticosteroid to improve liver function and increase blood platelet levels; and in severe cases, anticonvulsants to avoid a seizure. Amniotic fluid embolism can result in horrific death should fluid from the amniotic sac enter the mother’s circulatory system, bringing with it a “fetal debris” that migrates to other areas of the mother’s body including the organs. The mother’s body typically reacts by going into shock, causing traumatic, sudden labor or placental abruption. Although cesarean section may be a necessary treatment to preserve the safety and health of both the baby and the mother, it can result in significant life-threatening risks, including improper surgical technique and/or infection. Doctors performing a cesarean must be mindful of the risk of excessive bleeding and uterine infections. Vaginal delivery involves medical instruments, medical personnel, and medical facilities—all must be kept in a sterile condition. Further, a variety of common complications such as episiotomy incisions and vaginal tears may further expose a woman to infection. Cervical cancer or polyps: Cervical polyps can become cancerous. Early warning signs include intense pelvic pain and blood-tinged vaginal discharge. Heart Disease and Cardiac Arrest: A normal pregnancy can lead to extensive changes in cardiac function. Expecting women who suffer from pre-existing cardiac problems, including heart disease might be at higher risk of an unexpected maternal death before, during, or after delivery. Placental abruption: The placenta can separate from the uterine lining, usually in the third trimester and produce a gush of blood. This serious condition can deprive the fetus of nutrients and oxygen and cause life-threatening, severe bleeding. Placenta Previa: The blood vessels connecting the uterus to the placenta can tear and cause uncontrollable bleeding to the mother and the baby. Postpartum Hemorrhage: Bleeding after the child is born can happen from an undiagnosed laceration that occurs from natural causes or during a cesarean section. Without immediate treatment such as blood transfusions and IV (intravenous) fluids, the mother could die. Uterine rupture: the uterine wall can tear, usually at the area of a previous cesarean section. Early signs include excessive vaginal bleeding, less intense or slower contractions, and more. The wrongful death or near-death of a mother during or after the birthing process can result in a terrible financial burden on a family, especially if the infant survives and is now growing up without a mother. “Loss of Parental Care and Guidance” can often be part of the damages to the Estate. As well, if the birth mother were working, there would be loss of income to the family as a result of her death.